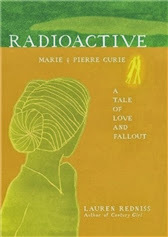 Radioactive: A Tale of Love and Fallout by Lauren Redniss: This biography of Marie Curie is more of a picture book for adults than strictly a graphic novel, which is not a bad thing in the slightest. 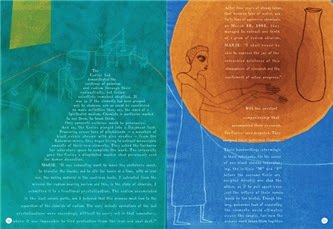 With innovative page layouts and lavish illustrations, Redniss tells the story of Curie’s life and work. Her approach is non-linear, and she juxtaposes past events with our contemporary knowledge about the use of radioactivity. It’s nearly impossible for a modern reader to read a story about the discovery of radium and polonium without thinking about nuclear weapons, and Redniss addresses this by tackling these questions head on. The result is an original biography that simultaneously acknowledges the pure joy of scientific discoveries and the fact that they don’t exist in a vacuum. An interesting companion to The Madame Curie Complex. 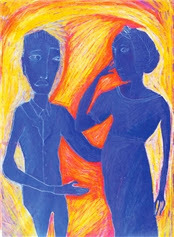 For more on the book, read this post at Brain Pickings. 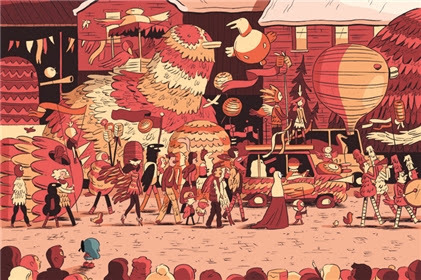 *** Hilda and the Midnight Giant, Hilda and the Troll and Hilda and the Bird Parade by Luke Pearson: An adorable series of short comics about a curious girl going on adventures in a world inspired by Nordic mythology and folklore. 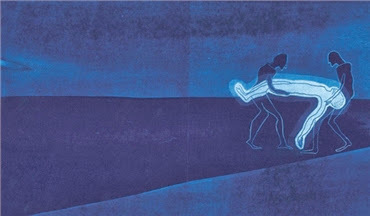 Pearson says in this interview, “I wanted to create a fantasy world that appealed to my adult self and the child in me, taking inspiration from some of the fantasy worlds that have most affected and inspired me, such as those found in the work of Tove Jansson, Studio Ghibli, His Dark Materials and the tales of Scandinavian Folklore.” He couldn’t have done a better job. 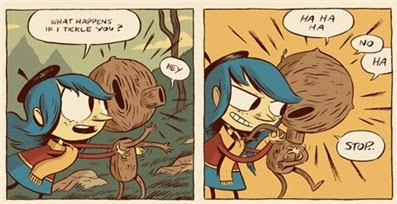 The Hilda books capture the sense of possibility and adventure of childhood and bring a world that’s simultaneously strange and welcoming to life in vivid detail. They especially reminded me of my favourite Ghibli movie, Spirited Away. Highly recommended for fans of Miyazaki. Lastly, could the art be any more gorgeous? 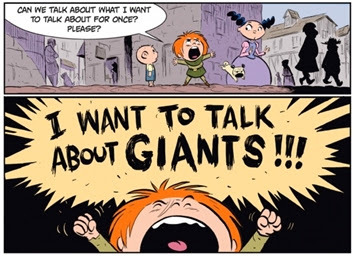 Giants Beware! 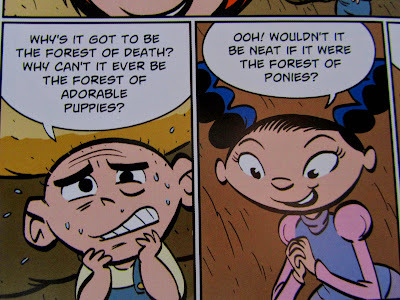 by Rafael Rosado and Jorge Aguirre: I LOVED THIS BOOK. It gave me the same d’awww feeling I got from Monster on the Hill, but without the sad-making total absence of women. 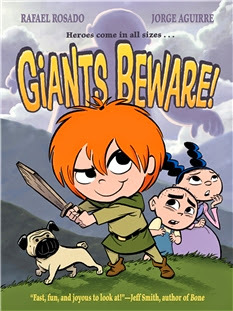 Quite the contrary: the young protagonists of Giants Beware! are Claudette, a dragon slayer in training, Marie, an aspiring princess, and Gaston, a budding chef. I loved the book’s nuanced approach to gender roles: we have a heroine who’s a bit of a tomboy, but she has a “girly” best friend who goes on adventures with her and proves smart and resourceful. Claudette and Gaston also have a disabled father, and the story is set in a medieval-like world but doesn’t pretend that giants are more realistic than characters of colour. Giants Beware! is gentle, funny, warm and full of heart: an excellent story with good representation to boot. 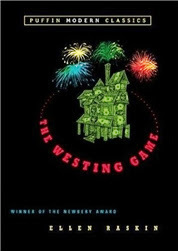 The Westing Game by Ellen Raskin: The 1979 Newbery Medal winner is the sort of book that takes pride in its own ingenuity, but in a playful and unassuming way that’s immensely enjoyable to go along with. When reclusive millionaire Sam Westing dies, his sixteen named heirs are brought to his house and invited to play a game: in groups of two and following a set of clues, they’re meant to solve the mystery behind his demise, with the winner taking the total of his fortune. What follows is a series of fun and cleverly written chapters where we get to know the large cast of characters and move closer to the solution. 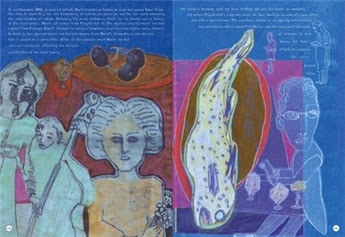 This is the sort of book that hides its clues in the language itself and thus rewards close reading. The answer to the mystery is satisfying and the ending is surprisingly touching: a joy to read. 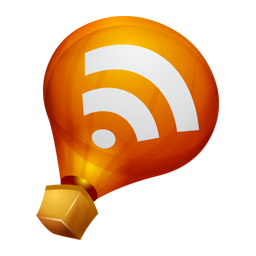 Cracked Up To Be by Courtney Summers: My first Courtney Summers was just as amazing as her online presence had led me to expect. It tells the story of Parker Fadley, a formerly perfect student who’s been on a downwards spiral since the previous summer. I can’t recommend it enough to anyone who’s interested in stories where female characters get to be complicated in ways usually denied to them. Cracked Up To Be is partially about what happened to Parker, but the interesting thing is that she was complicated even before the traumatic events that are slowly unveiled. Her obsession with perfection is portrayed with sympathy (it is, after all, the result of living in a world that tells women to be perfect or else), but without shying away from its impact on other people. An excellent book with stunning characterisation, and one I really should make time to write about in more detail. 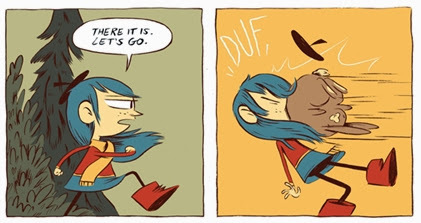 Ohhh, I am loving the art of the Hilda and the Giant books both! I might have to look into acquiring those; they look right up my alley. And The Westing Game is easily one of my absolute favorite books ever. For as many times as I've read it, I swear, I notice something new each time, and that surprisingly touching ending can still make me cry if I read it in the right disposition. Absolutely classic. It always makes me happy to see someone else enjoying it. My little sister got Radioactive for my big sister for Christmas a few years ago, and I snaked it to read it. My favorite thing was when the Curies would write to each other about how they loved doing science together. That warmed my heart; I was so sad when Pierre got hit by that coach. THE WESTING GAME THE WESTING GAME THE WESTING GAME. GOD I love that book. I wish I'd read it as a younger child; it impressed me as a young adult, but I think it would have blown ten-year-old Jenny's mind. Never even heard of Courtney Summers, adding her to the list now! I remember absolutely adoring The Westing Game in grade school. I can actually still picture the exact area of the library where the book was located and its cover. The details of the story escape me though, so I'm thinking a re-read is definitely in order.